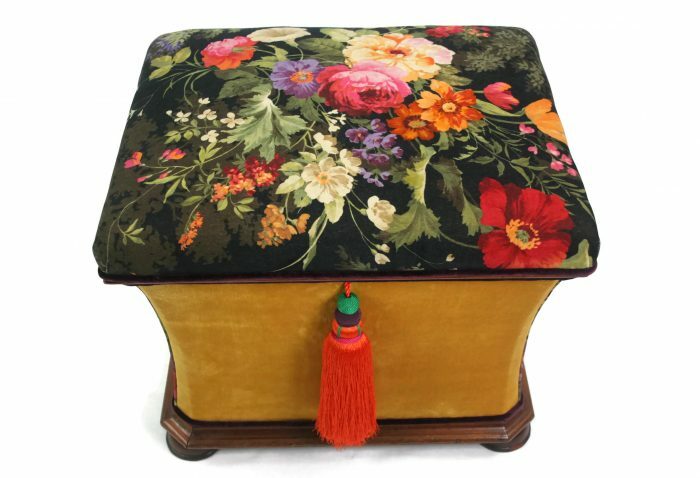 A beautifully shaped piece that originally had a rather tired needlepoint embroidered flower cover so typical of the era. 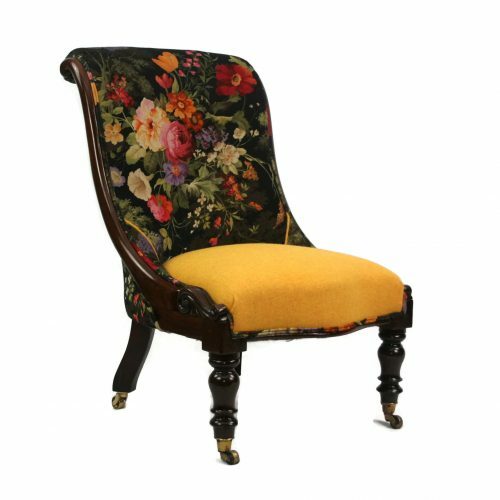 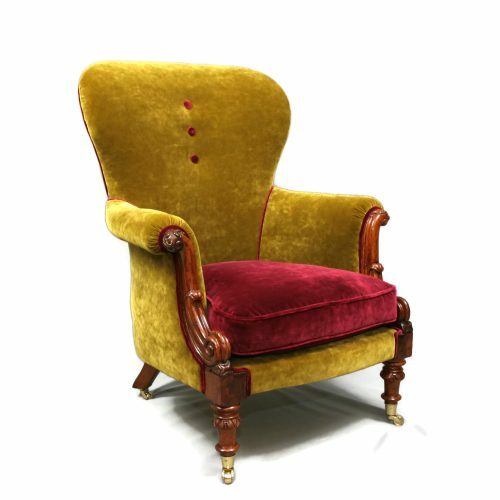 That flower motif has been recreated using opulent Spanish velvet, but given a more modern twist with yellow plain velvet on the body and an extravagant silk tassel. The lid is cushioned and lifts to access a really useful storage space, which is fully lined. 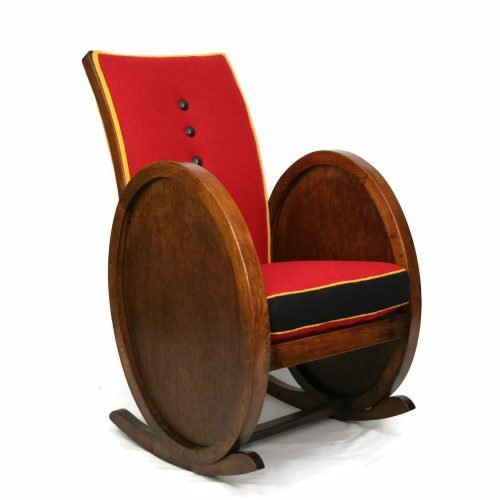 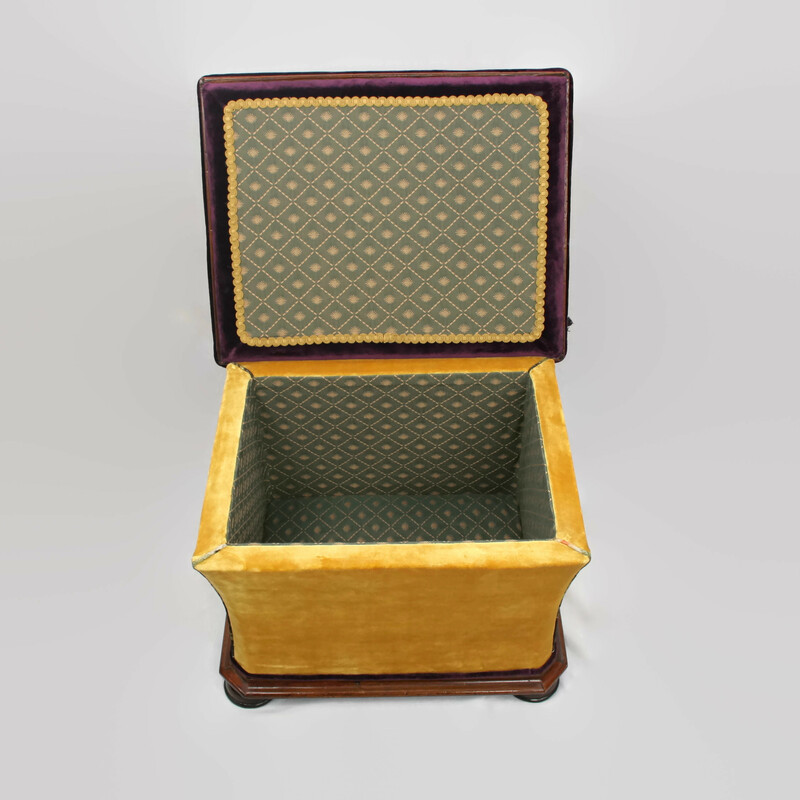 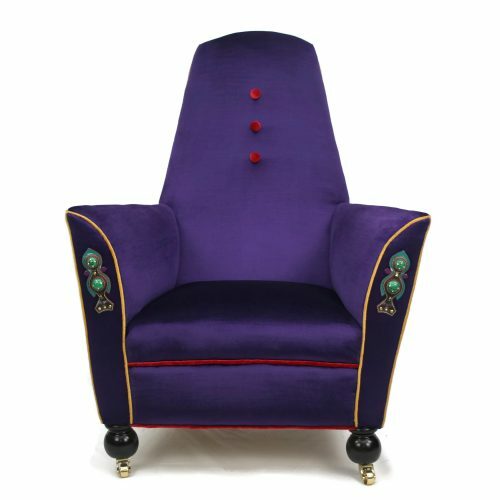 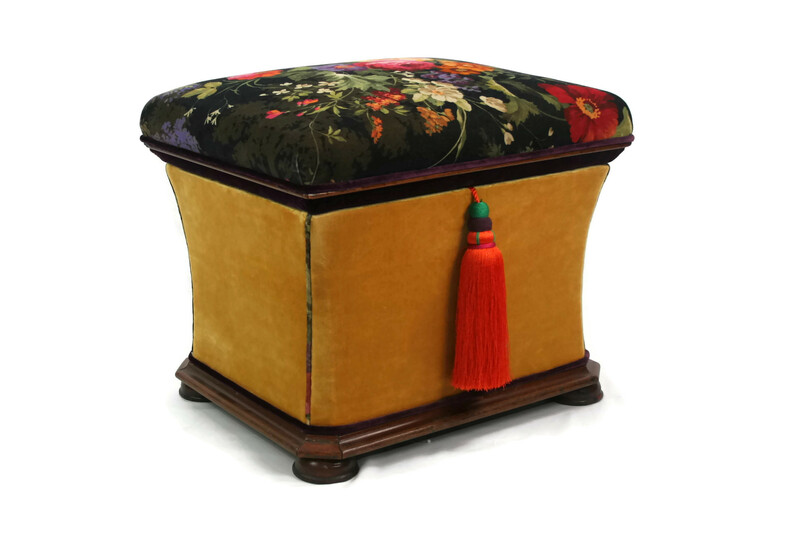 Ottomans of this quality are rare indeed due the considerable time and skill required to restore properly. 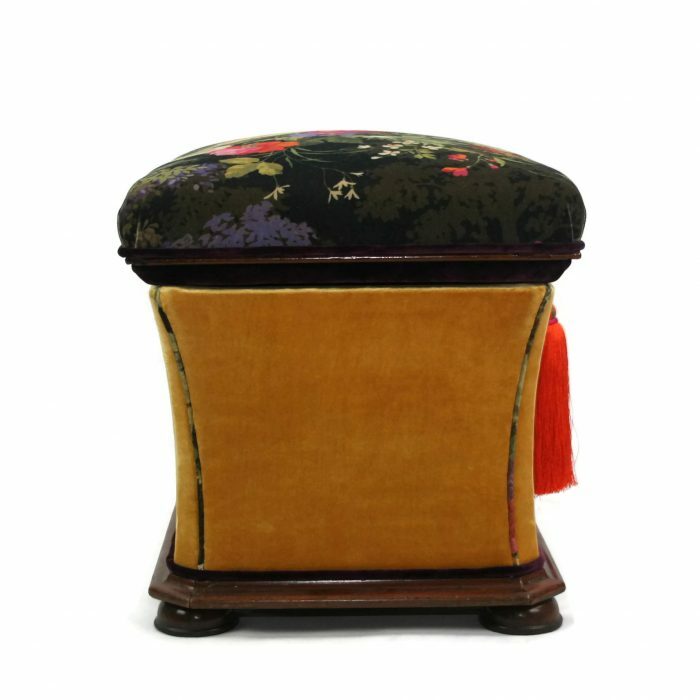 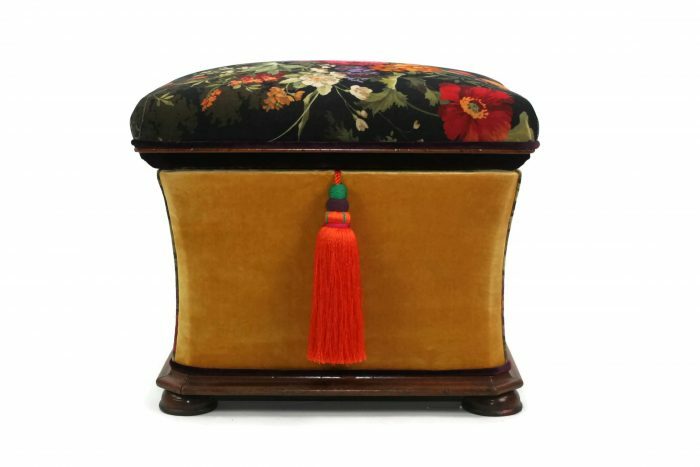 Many hours of hand-stitching were required for this medium sized Ottoman which benefits from scrupulous attention to detail throughout.